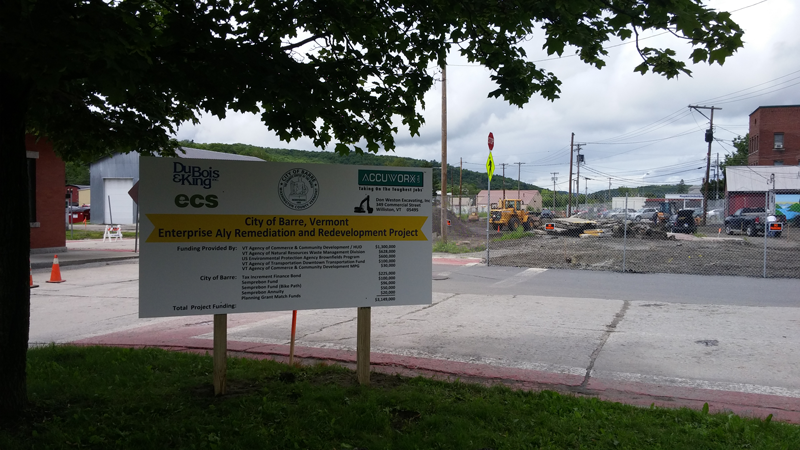 On Friday, 6 November 2015, ACCUWORX USA, Inc. achieved the contractual Substantially Complete Status for the Enterprise Alley Remediation and Redevelopment Project in Barre City, Vermont, which is a US EPA Brownfield Project. The 3.5 acre Enterprise Alley site was a blight within the City’s downtown due to subsurface contamination that left the area undeveloped. The historical improper disposal of carcinogenic chemicals from a dry cleaner created a subsurface plume that off-gassed dangerous vapors into the basements of nearby structures, and created a property that was unattractive for development. 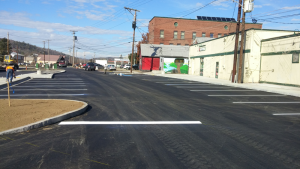 Due to the serious nature of the contamination, the US Environmental Protection Agency, US Housing and Urban Development, and the City of Barre hired ACCUWORX USA, Inc. to clean up and redevelop the property. The project consisted of removal of approximately 1,500 tons of highly contaminated soils, installation of a subsurface soil vapor extraction system (SVE) and (55) chemical injection wells throughout the property to address the residual contamination. 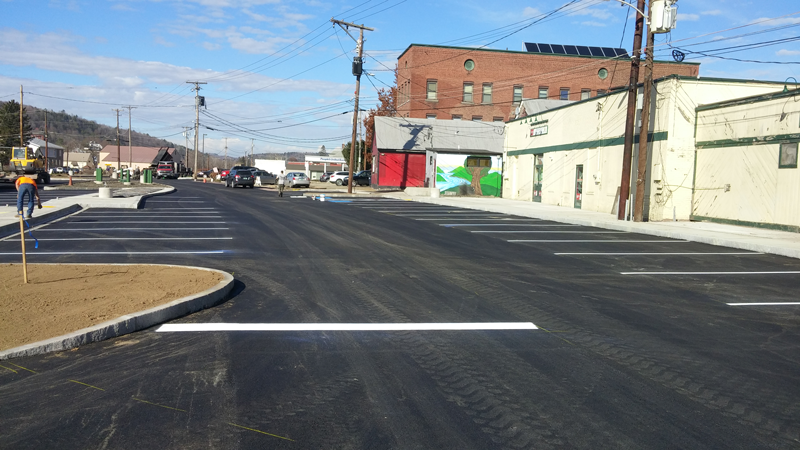 Following the remediation work, the site was completely redeveloped as a mixed use property consisting of the first segment of City’s paved bike path, recreation areas and green spaces, and a redesigned parking area with improved traffic flow. The site is equipped with beautiful decorative lighting, stamped concrete, and granite curbing. The project is estimated at $3.1M USD and the remediation system is anticipated to run for 3 to 5 years.